Michael Daniel Ho - The Wildlife Ho-tographer: Canon EF 50mm f/1.4 IS Coming Soon? 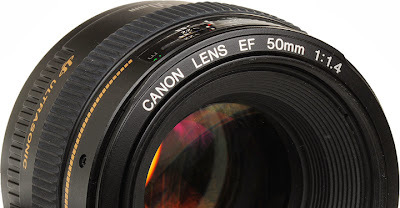 The Canon EF 50mm f/1.4 lens is one of the best value in Canon's lineup. It is well made, delivers solid performance and stands up to most situations. Although not a 'L' rated lens, the construction is good and the image quality is high. The selling price is about $300, making it one of the best values in the prime lens category and a must in many photographers' bag. However, the lens' design is aged and needs a replacement soon. Its less expensive cousin, the EF 50mm f/1.8 II already had a makeover and the current EF 50mm is due for a replacement some time in early 2014. The new lens will have IS, in line with the current crop of 24mm, 28mm and 35mm EF lenses. Aperture should stay at f/1.4 but may change to f/1.8 and the price may be a bit higher than the current model. I carry the EF 50mm f/1.4 in my bag all the time. It takes up little space, performs well in low light, inconspicuous and delivers high quality images. If the replacement lens is as well made as the present model, it will be another winner for Canon.